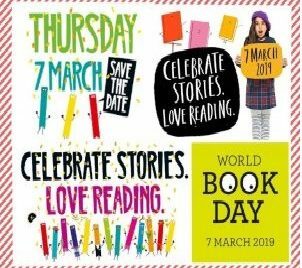 World Book Day 2019 will take place on Thursday 7th March 2019. Children can come into school dressed as a character from their favourite book. They could also bring in their favourite book to discuss. We look forward to seeing the children in their costumes. Let’s get creative and celebrate reading on 7th March! For more information, activities and resources see the Scottish Book Trust website, click HERE.